Payment options : credit cards, e-wallets. Available languages : English UK, English AU, English CA, English South Africa, Deutsch, Danish, Russian, Romanian, Polish, Finnish, Spanish, Spanish Mexican, Norsk, Chinese, Ukrainian, Swedish. Customer support : phone number, email address, social pages. 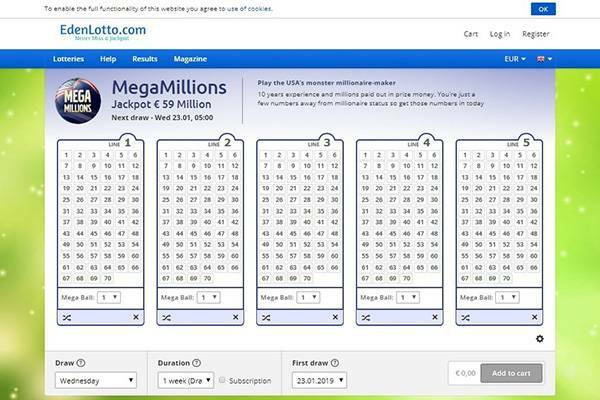 A leading lottery website network is growing soon! 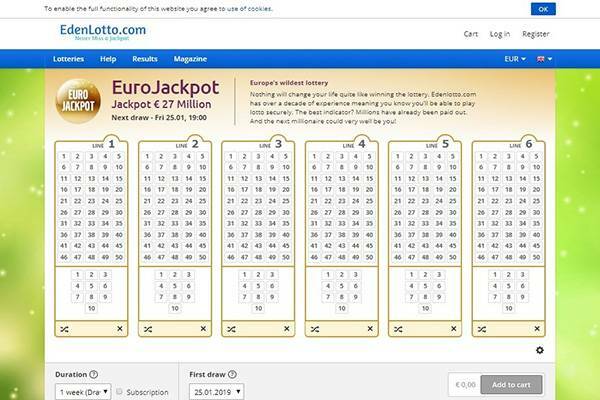 Kootac, who operates PlayEuroLotto, is expanding with a new brand. EdenLottery is launching fresh within a couple of weeks. 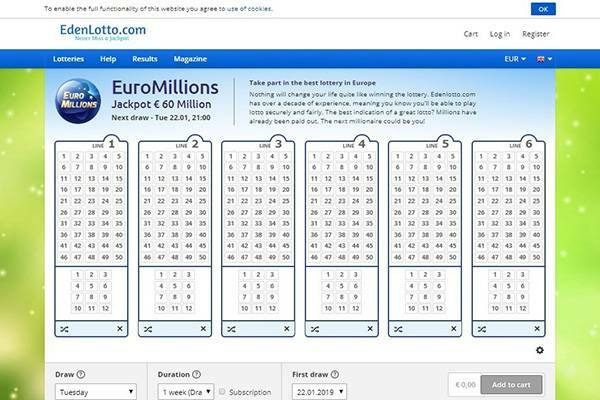 It will is built using Kootac’s trusted and friendly online lottery platform. 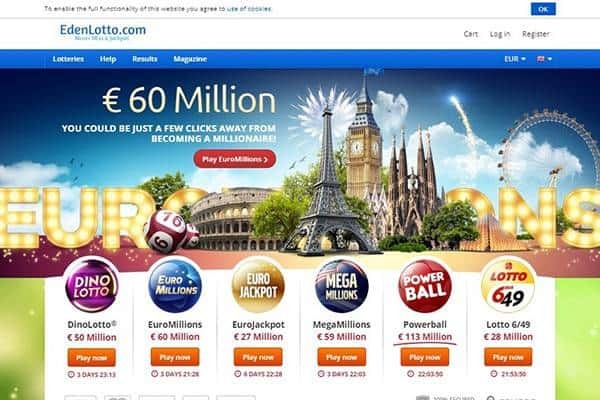 Kootac’s is one of the leading online lottery platforms in terms of its flexibility – there’s an unusual language support, a rare currency options, and geographical relevant payment options. Combined with the option of purchasing a single line or syndicate share, this could be a wonderful package to accompany players in their lottery experience. While, there’s no mobile application – not for iOS and not for Android users – there’s a pretty impressive mobile view support. The website has a dedicated layout for mobile that is very focused on players’ use of the website while on a small screen. Lack of a mobile app isn’t that big of a deal, but considering Eden Lotto is based on a widely used and very popular platform, a mobile app seem like a needed companion service. This is definitely one of EdenLotto’s, and all other brands using the platform, strong points – promotions and player rewards. Players on the site benefit a huge number of bonuses and promotions. There are discounted syndicates, free tickets and much more. Another strong point for Eden, they accept a variety of currencies that match the supported languages. This is accompanied with an equally impressive variety of payment options. Users and players have a Frequently Asked Questions section they can use as means of quick self serving customer support. It is a list of relevant issues that are categorized for easy navigation. For any issues that are not covered in the above help section, there’s the option of reaching customer support. The channels available are phone number and direct email address that are clearly visible across the site – only in Desktop view – and social pages that the brands visits regularly. Is EdenLotto legit or fraud? 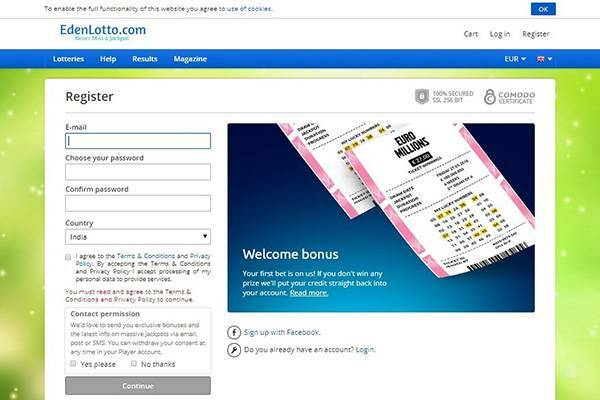 There’s no indication of fraud, and this makes perfectly clear as there are no players to experience the site and feedback online, but considering the platform and company behind the name, EdenLotto is expected to be just as legitimate and scam free as other brands within the network. I’ll re-visit this brand soon and often to see my expectation becomes a reality. I have high hopes for Eden Lotto! It is built on a solid platform that has a reputable track record of excellent lottery experience, and has an attractive bonus scheme. Not much more to ask for. You’re welcome to have a go and give your feedback. Good luck! Operates by a huge brand that is well known and regulated by the UK Gambling Commission and Curaçao eGaming. Offers a attractive bonuses that make the most out of the platform's unique capabilities. 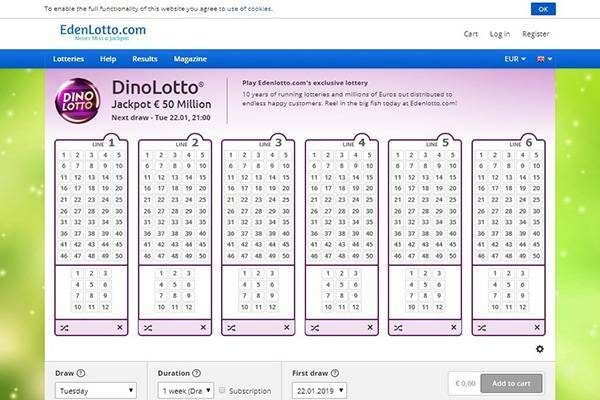 Has two lottery gaming options – single line and syndicate.